Our main ethos is that children are always having fun and engaged in different types of activities. We have a strong focus on the play principles and in our care you can feel reassured they will be having fun and engaged in different types of activities. 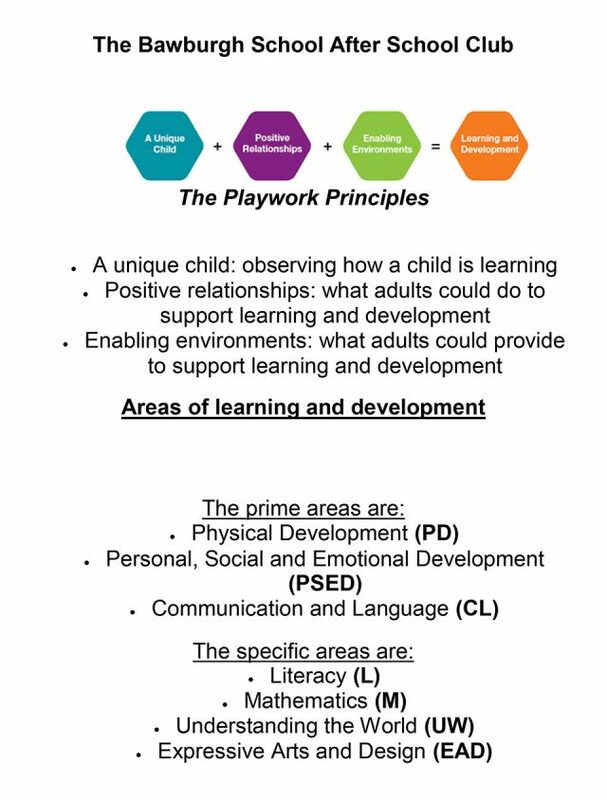 We firmly believe that children learn vast amounts through different types of play. Children learn lots socially being with children of all different ages, seeing children create a game as a group is one of the most rewarding things to observe. The club provides a caring and fun environment with play opportunities designed to promote personal and social development, physical and intellectual skills and creative achievement. We follow the Schools behaviour system and reward Gold Stars to those children displaying positive behaviours of both play and learning through JONK. Rewards are celebrated with their Class Teacher at the schools weekly celebration assembly. We follow different themes throughout the term and organise adult led activities alongside child initiated play. Such themes include, Family and Friends, Celebrations, Chinese New Year, Fairy Tales, Book Characters, Countries, Seasonal and many more…………….. Examples of the activities and resources available to the children are drawing, colouring, painting, cutting and sticking, kinetic sand, salt dough, gloop, play dough, clay, Lego, sewing, sand tray, Ezze beads, board games, computing, climbing frame, ball games, hoops, parachute and lots more………. During the session your child will be able to have a drink, fruit and any healthy snack they bring along. If they are staying until 6pm they will be given tea from Clive’s kitchen. The children know us well as we both work during the day within the School as Teaching Assistants which gives added continuality and reassurance.